Chris Flynn is a middle-class white boy whose life goes off the rails after teenage bravado turns sour and he spends some grim time in Pine Ridge juvenile detention facility. When he’s released he starts working for his father’s carpet installation business and things are smoothing out for Chris until he and his workmate and friend Ben, another former inmate of Pine Ridge, find a bag of money in an empty house. What next? This beautifully narrated audio book seemed to me to be first and foremost an examination of the impact little decisions have on our lives. At almost every point in the story things could have gone one of two ways for someone but their decisions could not have appeared life-altering at the time. My heart was literally wrenched when Thomas Flynn realised that the things he did, and didn’t, teach his son Chris when the boy was small were reverberating in their lives many years later. I’m always intrigued by books in which the road not travelled plays a significant role. The other strength of the novel is its flawed but very human characters. Almost all of them are men of varying backgrounds, race and criminal status and as an exploration of what it means to be a man in urban America the book is fascinating. There were multiple occasions where my first reaction to an event or an action taken by one of the characters was to mentally scoff ‘as if’ before it would dawn on me that I was approaching things from the perspective of a carefree Australian woman whose only time in prison has been a couple of hours on a guided tour of Alcatraz while a boat waited to spirit me away to a seafood dinner at Fisherman’s Wharf. This is a point of view which shares nothing with the world seen through the eyes of the characters in this book. Many of the reviews and comments I’ve seen about the book and Pelecanos’ writing in general mention his undoubted grasp of the male psyche but I found the look into the American state of mind, a thing equally foreign to me, just as compelling. I wasn’t as taken with all of the writing. While there were some truly stunning passages, especially those describing the surroundings of and experiences at Pine Ridge, there’s also a heck of a lot of unnecessary detail for a relatively short book. It’s difficult to reference an audio book but an example of the kind of thing I mean is the point where Ben and Chris are getting ready to install a carpet and the narrative went something like “they untied the red flag from the roll of carpet, then they took the carpet roll from the van and took it to the porch, then they went back for the roll of padding and took that to the porch”. Yawn. I also had a bit of a gripe with The Message (capitalisation deliberate). Yes Pelecanos’ politics concerning young offenders and the way society deals with issues such as drug use is the opposite of most mainstream commentators but he’s no less ‘preachy’ about the subject than the average radio shock jock. The descriptions of the facilities and events at Pine Ridge demonstrated that locking kids up in awful surroundings and treating them like dirt is, at the very least, counter productive. I didn’t need to also be bludgeoned over the head with additional academic-style lectures about improving the system inserted clumsily into the narrative. I’m no less annoyed at being preached at by people whose views I concur with than those whose opinions make my stomach turn. Overall though The Way Home was a reading experience that took me outside my comfort zone and my enjoyment of it, despite being confronted several times by my own subtle prejudices and pre-conceived ideas, reminds me that I should do this much more often. I’d recommend the book fairly universally but especially to those who like character-driven narratives and anyone who is interested at all in the things that can go wrong, and right, between a father and his son. This was my first novel by Pelecanos and I’m keen to read more. The Way Home has also been reviewed by Ben at Material Witness (whose review prompted me to read the book, thanks Ben) and Barbara at Mystery Scene Magazine. Also Margot at Joyfully retired gives an insight into how she and her husband discussed the book and the many issues it raises. 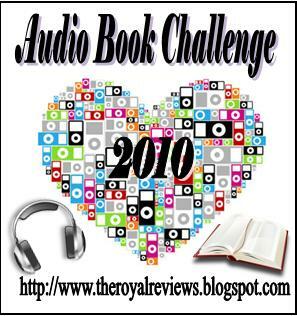 This entry was posted in Audio Book Challenge 2010, book review, George Pelecanos, USA. Bookmark the permalink. 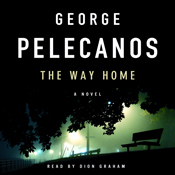 I haven’t read any Pelecanos yet – I must! Bernadette – This really is an excellent review – thanks. I agree with you, too, that it’s easy to cross the line between bringing up an issue and preaching about it. Still, this one sounds compelling. He’s one writer whose preaching I can take, even when he looks up from the lectern and announces “the reading for today will be taken from the metro section of the Washington Post.” I loved this book, and it’s very much about what masculinity means in America today and what it ought to mean. But your review is spot-on, Bernadette.